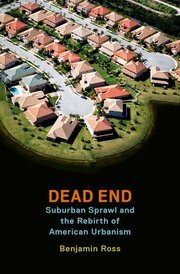 … subdivisions intentionally discouraged walking so that buyers would feel insulated from the city. Blocks were enlarged and sidewalks shrunk; by 1921 pedestrians were rare enough in the more affluent sections that sidewalks could be eliminated there entirely. I’m looking forward to getting to the part where we turn that around! I’m delighted that Portland Transport is able to join with 1000 Friends of Oregon and Oregon Walks to sponsor a presentation by the author at Powell’s Books on Hawthorne Monday night (May 5th) at 7:30. I hope that you can join me there! On Thursday, I’ll be joining what I hope will be a large group of transportation enthusiasts and activists in attending PBOT’s Our Streets Town Hall. Motivated by a series of missed opportunities that have made our 2030 bicycle plan look more like a naïve aspiration than a realistic, achievable goal, and appalled by a recent spate of pedestrian deaths, I’ll offer this argument in support of the street fee. Winston Churchill once described democracy as “the worst form of government, except for all those other forms that have been tried.” Similarly, a per-household fee may be the worst way of funding our transportation priorities except for all of the other ways that we’ve tried. I say this mindful that I’m fortunate enough to be able to pay the fee without it being too burdensome. For many Portlanders, this fee will hurt, and I hope we can find a way to soften the blow to them while preserving the idea that we all have ‘skin in the game.’ I also would have preferred to see us first take the step of charging fair market rates to those who store their private belongings on our streets by reforming parking throughout the city. But it is defensible, I suppose, to ask all Portlanders to contribute something before asking those who demand more to contribute more, so long as it’s certain that the latter step will follow. There’s no doubt that implementing this fee constitutes an improvement to our current funding system. What we’re trying to do at present—fund a multi-modal transportation system with revenues generated largely by motor vehicle travel—is equivalent to trying to fund a methadone clinic with a tax on heroin. It’s a Catch-22 where our ability to provide a solution depends upon the continuing severity of the problem. This new fee is an opportunity to reshape that vicious circle. As such, I expect to see it immediately and drastically change our funding priorities, placing much less emphasis on preserving access and capacity for motor vehicles, and much more on projects that focus on safety, particularly for the most vulnerable road users. Make no mistake: With regard to demonstrating a commitment to active transportation, we are stagnating. We are stagnating. We have no bike sharing program, nor any concrete plans to deliver one nearly three years after Council voted to do so. And as I write, we are squandering a chance to improve bicycle access on 28th Avenue—a key component of the 2030 bicycle plan. It joins too long a list of recent missed opportunities that includes SW 12th Avenue, NE Holladay Street, and the NW Park Blocks, to name just a few. The news of plans to improve crosswalks along some of our most treacherous roads is welcome, but it’s a modest step. 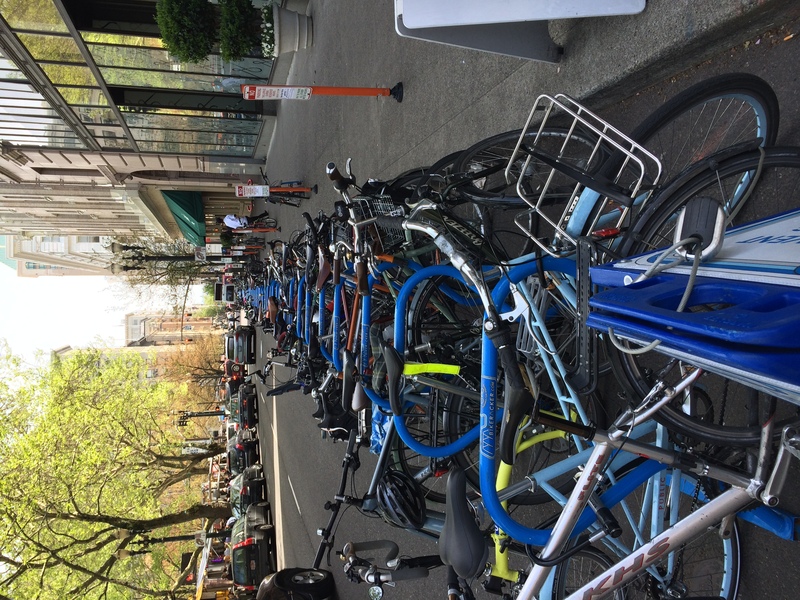 Portland’s walking and bicycling networks remain frustratingly—and often dangerously—incomplete. I support this new revenue stream because it presents our best opportunity yet to end the stagnation. However the name that seems to have taken hold—“street maintenance fee”—misses the point. The goal here must be to improve our streets. The name of the fee should reflect that. I understand that the finances around street maintenance appear daunting at this moment. But if we were to invest in making our streets excellent public spaces—by holding safety paramount; by prioritizing walking, bicycling, and transit in practice as well as we preach it; and by recognizing that our streets are, as Jane Jacobs so eloquently stated, the setting of an intricate ballet that “never repeats itself from place to place, and in any one place is always replete with new improvisations”—I’d bet that those numbers would start to look a lot more manageable in a hurry. In fact, I’d bet twelve bucks a month on it. How Well Do Protected Bike Lanes Work? When: Friday, May 2, 2014, 12-1 p.m.
Summary: Cycling is on the rise across the U.S. and its popularity has grown beyond the usual leaders – Portland, OR, Seattle, WA, Davis, CA, Minneapolis, MN and Boulder, CO. New York City, NY Chicago, IL and Washington, DC are among those cities making significant investments in bike infrastructure in recent years and have realized substantial growth in people taking to the streets on two wheels. This presentation will summarize some results from our comprehensive assessment of the safety, operations, economic impacts, user experience, and perceptions of new protected bikeways in 5 cities U.S. cities (Austin, TX; Chicago, IL; Portland, OR; San Francisco, CA; and Washington, D.C.). To support this research, the team collected and analyzed 204 hours of video, 2,300 returned surveys of residents, and 1,111 returned surveys from people intercepted riding the new facilities. I’ve been a member of City Club for years (more than two decades actually) and a few years ago I mounted a small campaign to get them to put pressure on the Sentinel Hotel, where they meet for their Friday Forums (then known as the Governor Hotel), to add some quality bicycle parking (there are currently a few City of Portland staples on the Alder Street sidewalk). No luck. But today was like a dream come true. 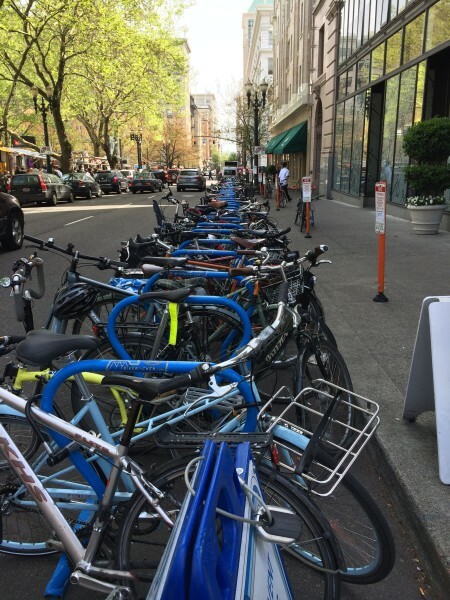 The Sentinel was hosting the Oregon Active Transportation Summit and there was an entire block face of bicycle parking! Come on, Sentinel, can’t you see what a nice addition a bike corral would be?